Just a quick question, is there a difference between the 2.4.0 bundle and 2.4.0 complete, or is bundle just a way to install the modules you want like in the original growthcraft? They are the same. There were a few requests to bring back the the separate jars for those that only want to install some but not all of the GC modules. If you use all of them then it doesn't make any since having to keep track of 8 different jars. So, will there be a later addition of a still and ways to produce such beverages as gin, whiskey, moonshine, etc.? I'd love to make a 1:1 scale model of M.A.S.H 4077 with the Swamp and its trademark still. The Still is definitely on our roadmap. Not sure if it will make it into GC for MC 1.7.10 though. Well, best of luck. If you do manage to get it into 1.7.10's build, I will be eternally grateful. Hello , can somebody explain me how can i create Hyper_extended.Hopped , Fermented Ale or Chilled,Hopped , Fermented Ale . I try all combinations but only stats i created was Extended , Potent. And what is the function of Brewers Yest - its only slowest Nether Wart ? Thanks for replies. I really try google searching over wikies and nothing found. Let me find the visual guide, since there is no ingame guide at the moment. Great, thank you much. It's help me alot. Do you have plan for adding more fruit trees? Some things are being worked on to make it more compatible with agricraft, such as changing how rice paddies are made. Also, there is an upcoming module that might be of interest to you that might have some harvestcraft integration later on. Really cool mod, but I prefer classic Growthcraft from Gwafu. We have preserved everything from Gwafu. For improvement of the community edition what specifically do you prefer from the original edition? 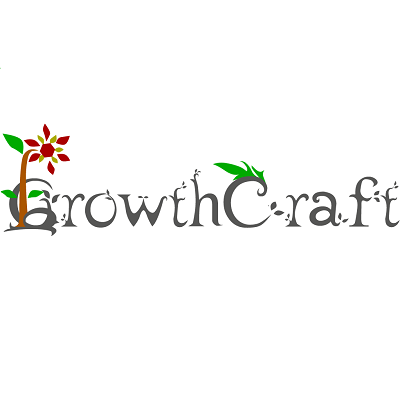 I think Normal Edition of Growthcraft is more likeable. I trying to find the Mod Showcase for this mod, but i don't find it. This is only my opinion. OK? We more than welcome your opinion. We would simply like more specific feedback as one of our goals is to preserve the original work. So if there is a case, like yours, that someone likes the original better then we would like to know what we need to do differently to make sure that that everyone is happy with the results. Of note, we will be providing the child plugins in separate jars again when we release later this month. In January I am planning on releasing mod show cases and tutorials. We are also working on the mod's documentation as Gwafu's wiki has been down for awhile.